A riot police officer was injured on Thursday night after his unit was attacked by self-styled anarchists lobbing makeshift firebombs, rocks and other projectiles, hours after passersby heckled a conservative politician who is running for Athens mayor. The attack by some 30 hooded individuals on police took place just before midnight on the corner of Themistocleous and Tzavella streets in the troubled downtown Athens district of Exarchia. The officer's injuries were minor and he did not need to be hospitalized. No arrests were made. 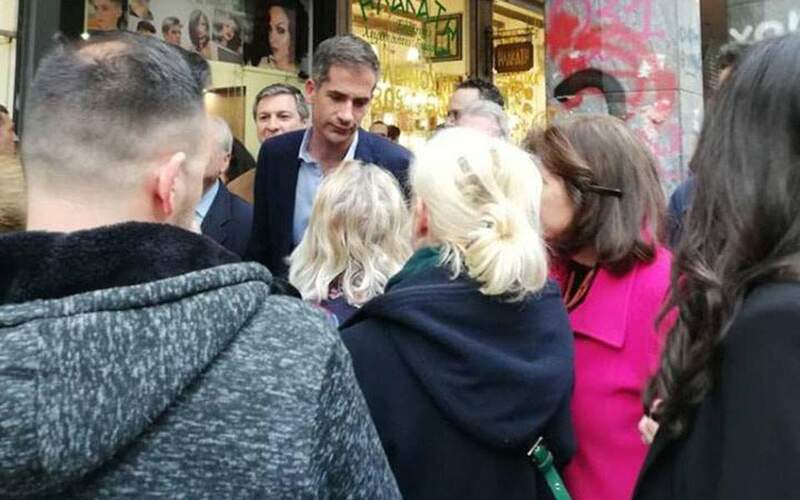 Earlier, mayoral candidate Costas Bakoyiannis was heckled by passersby while he was talking with Exarchia residents holding a rally to complain about the law order breakdown in their neighborhood. In a post on Facebook, Bakoyiannis, who is seen leading the race for mayor of Athens in the upcoming local elections, said that the hecklers went so far as to disparage the memory of his father, Pavlos Bakoyannis, who was gunned down by the November 17 terrorist organization in central Athens in 1989. He also accused law enforcement authorities of failing to keep Exarchia's residents and businesses safe. Meanwhile, New Democracy leader Kyriakos Mitsotakis vowed on Friday to put an end to self-styled anarchists exploiting the university asylum law on Greek campuses. “No society is free if its citizens don’t feel safe,” he said, adding that security will be the “absolute priority” of a New Democracy government.